But at $199.99, the SHIELD TV isn't easy to justify. If you don't care about gaming or you have a dedicated console, other streaming boxes are cheaper. 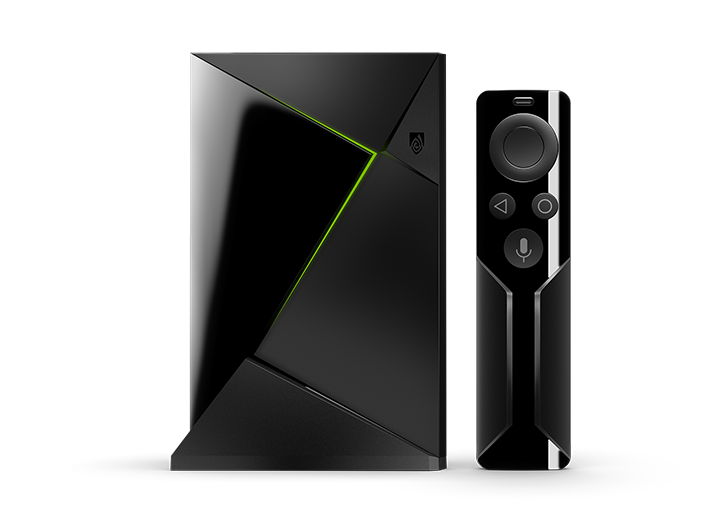 And that's why NVIDIA is undercutting the price of the SHIELD with a new model: the "SHIELD TV (with remote)." That's to say it only comes with the Bluetooth remote, but it doesn't have the gamepad controller. While the idea makes sense on paper for those who just want it for its media chops, the price leaves me very puzzled. NVIDIA is pricing this at $179.99, only $20 less than the version that comes with the controller, which costs $60 by itself. That makes little sense to me. At $149.99 or even $159.99, it would be a valid argument, but at $179.99? You're better off buying the full version with the gamepad and either keeping it just in case you ever want to dabble with games either selling it on eBay for more than $20. That's just my 2 cents. NVIDIA is pitting this SHIELD TV (with remote) version as a streaming box and has provided a nice comparison sheet against similar options like the new Apple TV, Roku Ultra, and Fire TV. 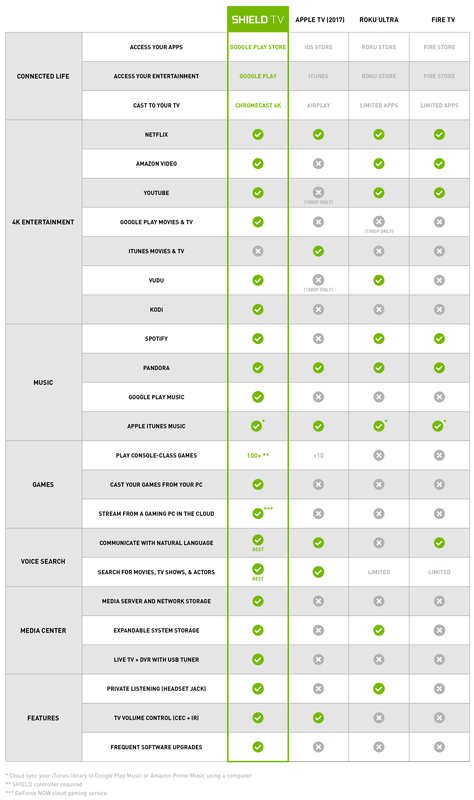 You can clearly see that NVIDIA provides the most versatility (unless you care about iTunes), but then again, if you're convinced, I'd still recommend the fuller $199.99 option with the gamepad. If my advice rings on deaf ears and you'd still like to purchase a SHIELD TV (with remote), you can pre-order it on NVIDIA's site at the source links below. These will ship on October 18. Or you know, you can avoid the wait and grab the better $199.99 option and have it shipped now. The $299.99 Pro version with 500GB of storage is also still part of the portfolio.